Hi there! You dont know me but reading your blog has given me light and confidence. I am a lot like you I am 300lbs and have a long way to go. Recently I joined weight watchers and I am loving it. I have hard days as you do but I know in the long run it is worth it to stick to it. You are my role model and I love reading about everything you do and I am getting inspriation from you every day :) Thank you so much and keep it up! You are a beautiful person inside and out! 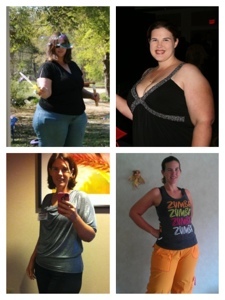 What did you do and are doing so your arms would not get flabby while losing weight? My areas I hate are tricep section and inner thighs. I have strength training and doing cardio they are just getting flabbier.